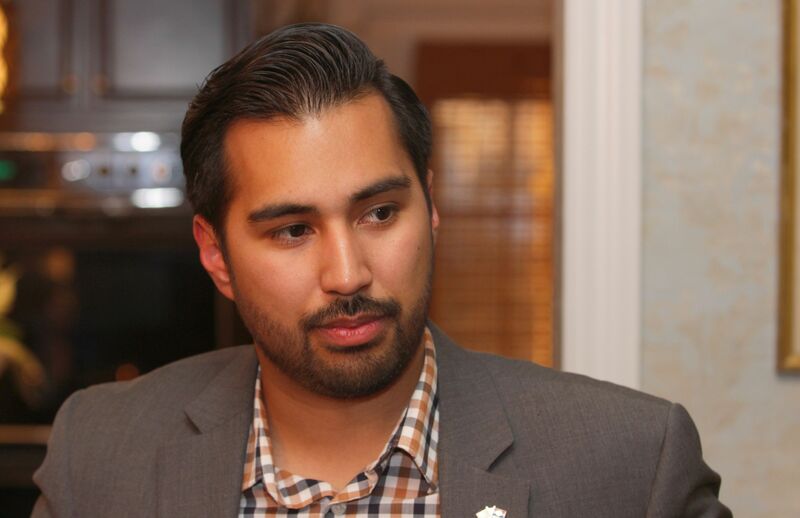 Manny Abarca, one of three Democratic Party candidates for the open seat in the 19th Legislative District, attended a fundraising event on his behalf in Warrensburg hosted by friends from his time as a university student activist. Earlier in the day he had spoken at an event on the campus of the University of Central Missouri on sustainability and recycling. Manny Abarca (D) – February 4, 2016. He spoke about the people he hopes to represent in the 19th Legislative District, the nuts and bolts of campaigning, and the pressing challenges of the district and the state which need to be addressed by the Missouri General Assembly. John Rizzo, who currently holds the seat in the 19th Legislative District, is a candidate [pdf] (among others) for the open seat in 11th Senate District.